10 Top Shampoos for Thick Hair - Do You Know Them All? Walk into any drug store or grocery store and you’ll find the bath and body aisle lined with so many bottles, it can make anyone dizzy. Shampoos, conditioners, hair treatments, hair masks, hair sprays – who knew one could do so much with just hair? But where did this obsession start? Surprisingly, it began in the Indian subcontinent. The Indians used different blends of boiled and gooseberry with a mix of herbs and flowers to create a lather that left the hair shiny and soft. When the British colonized the subcontinent, they carried the habits back home and the global interest in shampoo was born. 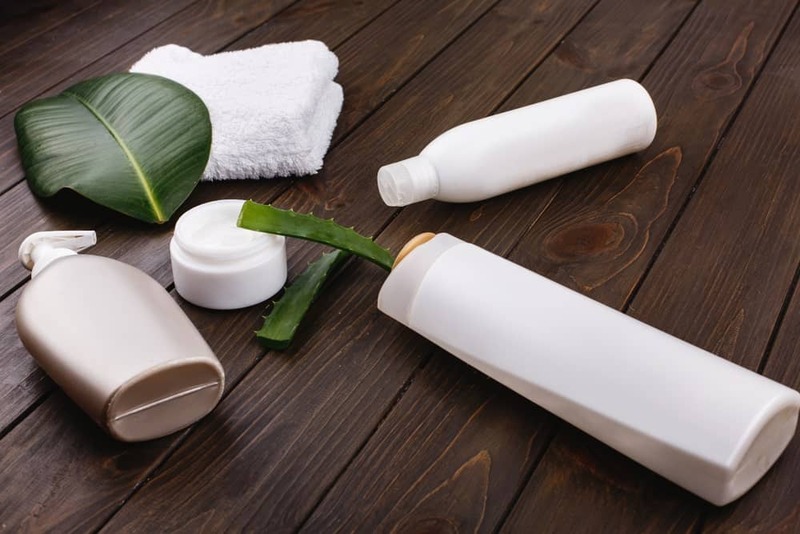 From there, it trickled down to other cultures and continents and underwent many changes that led to the creation of modern shampoo as we know it today. Today, hair care has transformed to incorporate elaborate routines, products and results. It’s more customizable than it used to be with different options for curly, frizzy, oily, dry, or color treated hair. There’s powder shampoo, liquid shampoo, dry shampoo, and shampoo bars. With so many options out there, it can be overwhelming when it comes to choosing which one is right for you. The best way to do that is to focus on hair goals and shop for products that are specifically meant to give you the results you want. Thinning hair is one of the biggest concerns for men and women alike. And it can take a great hit to one’s self image when there’s a constant stream of falling hair trailing after them. No one wants to stand in the shower with clumps of wet hair tangling in their hands. So if your goal is thick, luscious locks, whether you already have them or want to get them, you’re in luck! Here are our picks for top 10 shampoos that are guaranteed to give you the hair you want. So next time you’re at the store, you’re not staring mindlessly at labels lost and confused! Formulated without silicones, sulfates, artificial fragrances and gluten, this shampoo promises to cleanse your hair without stripping it of its essential oils. 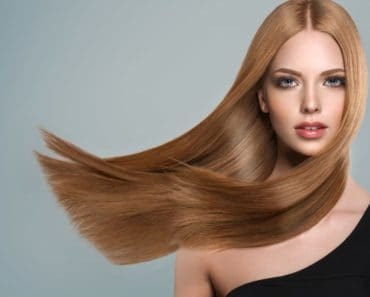 The formula claims to be 98% naturally derived and has some star ingredients like ginger and ginger which are widely known to be beneficial for hair. In addition to nourishing the hair to add moisture and fullness, it also promotes hair growth in the long term. Sounds great to us! Vitamin B7 and collagen are the main players in this product. They serve to give each strand of hair a boost making it feel thicker and looking healthier. It also claims that it can make the skinniest, limpest strands into fuller and abundant locks. User reviews for this product are generally positive with many customers also saying that the nice, soft scent is an added bonus! A highly raved about fan favorite, Paul Mitchell’s Lemon Sage Thickening Shampoo is a paraban free, gluten free, and vegan formula that will help strengthen your hair from damage and help it feel and look cleaner and thicker. Our favorite bit about this particular product is the UV protection that helps protect your hair from any additional sun damage. Yes folks, it’s not just our skin that needs protection against the sun’s harmful rays! The only drawback may be the scent. If you’re not a fan of herbal scents, the lemon-sage is quite pronounced so it may be a little irritating. Maple Holistics believes in using naturally occurring nourishing ingredients to help boost hair’s vitality. 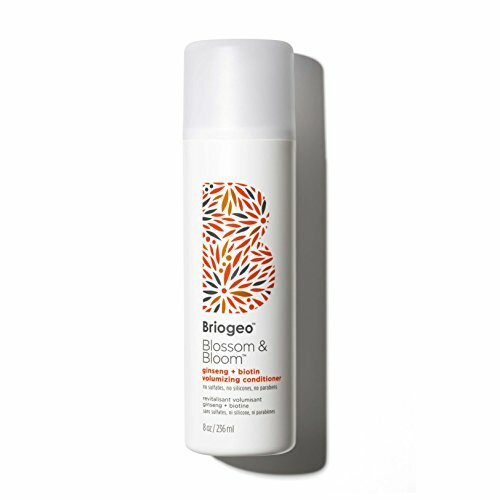 This shampoo dives into the bounties of nature to formulate a blend that is going to deeply nourish your hair and promote healthy hair. 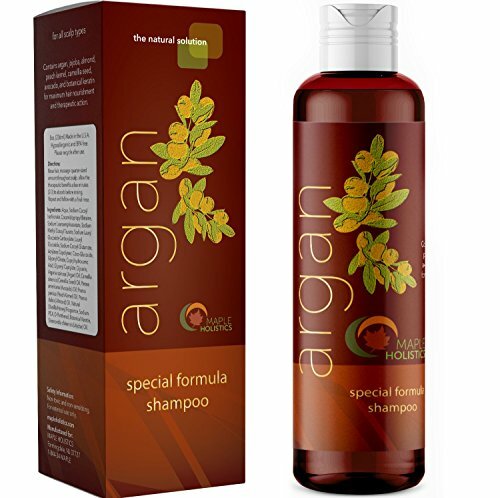 With argan, peach kernel, camellia seed, and avocado oil, the shampoo packs in essential fatty acids and vitamins that will not only make your hair feel softer, but will help reverse some of the damage that may have occurred. Kerastase is a brand that is celebrated by the likes of Jennifer Anniston and the Duchess of Cambridge. I guess when actual royalty approves, who are we to question it? 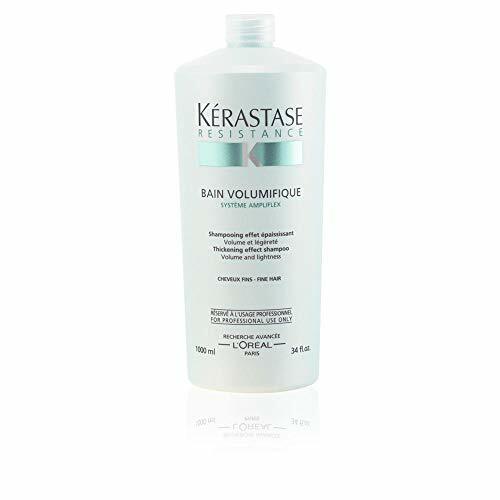 They have a wide selection of shampoos, conditioners, and treatments but if your hair goal is healthy, thick hair, this resistance bain volumifique shampoo is your best friend. It has a few standout ingredients like 0% fat cream, cellulose powder and cationic polymers in addition to some Kerastase trademarks such as intra-cylane. It all sounds very fancy but trust us, it works! Yoghurt is one of the most nourishing natural ingredients for the hair. Even when used on its own, it makes for a great hair mask. But the problem with using natural yoghurt directly on your hair is that the smell of dairy can often be overpowering and be a total-no-no. It can also be a little difficult to wash out properly. So of course, it makes complete sense why this ‘hairgurt’ made it to our top 10 list. It takes the goodness of natural yoghurt and blends it with other goodies to give us a product that is everything we could want. 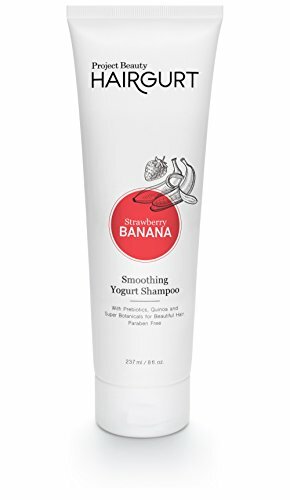 Enriched with a yoghurt protein, prebiotics, quinoa and a blend of six oils, the intensely moisturizing ingredients all come together to help nourish the hair and de-frizz for thicker hair that is more manageable and soft. Thinning hair is one of the biggest enemies of thick hair. 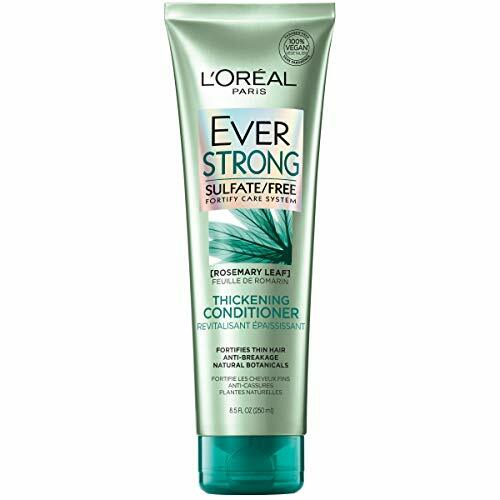 If you’re struggling with thinning hair then this shampoo is meant to help nourish roots and strengthen hair so breakage is minimized. It’s powered by a strong blend of pumpkin and black seed oil and is free from harsh chemicals so your hair is getting pure nourishment with no damage. 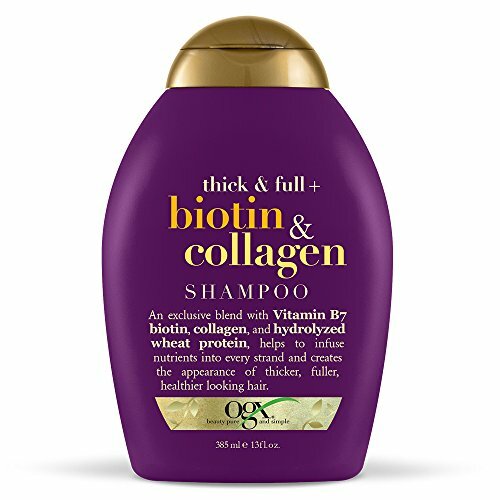 This shampoo claims to give plumpness to hair after just one use. That’s quite a claim! But given that it’s packed with Vitamin A, C, and E, we’re not surprised. These vitamins penetrate deep into the follicles of the hair to help rejuvenate the hair while at the same time nourishing and cleansing the scalp. So many users swear by it and say it has helped their limp hair feel more texturized and thick. 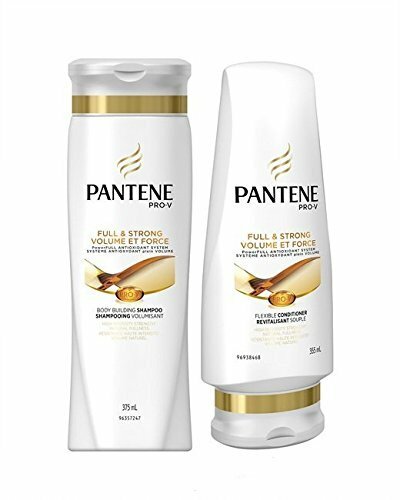 We all want thick, gorgeous, manageable hair but given that hair care products are so expensive sometimes, a cheaper alternative to expensive brand shampoos, Pantene Pro-V Full & Strong targets fighting protein loss with its specially formulated antioxidant system. The idea is that once it can help reverse some of the damage and strengthen the hair, its natural fullness will come through. If you’re looking for something to add to your routine that will give you noticeable results without breaking your bank, this is the guy for you! L’Oreal Paris is one of the experts in hair care with a wide range of products covering all hair types and concerns. This particular shampoo is formulated to be nonabrasive on the hair helping you clean your hair without the damage. It’s got a blend of 5 natural surfactants that still provide you with that classic shampoo-y lather without the extra chemicals. The amino acid complex helps thinning hair to look thicker and overall nourished. 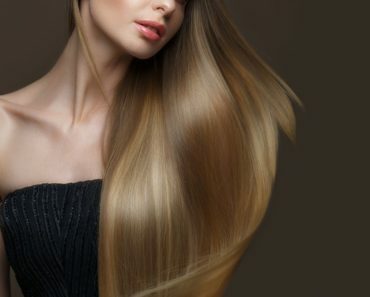 Once you’ve decided on which shampoo you want to go for, here are a few tips to keep your hair soft, bouncy, and thick for longer! Pair your shampoo with a good conditioner. Conditioner helps to lock in moisture, whereas shampoos work better at cleansing the scalp of excess sebum. A combination of the two will leave your hair well nourished and make the feeling of freshly washed hair last longer. Don’t over wash. Even with the right shampoo, washing your hair too much may dry it out and encourage breakage and that’s the last thing you want! An important aspect of getting thick hair is to make sure you keep it moisturized so it’s nourished and well…fluffy. A good way to do this is to do hair masks once a week in addition to shampoo and conditioner so your hair gets something a little extra. Look for products with nourishing ingredients like Vitamins, argan oil, and a low (or even better: no) level of artificial fragrances and chemicals for the best results. Play around with your hair a little, switch up your products and notice what works best for you. Remember, not everything that works for someone else will suit you. The best way to know what is going to be best for you is to experiment until you’ve found a routine that sticks and gives you the result you want.